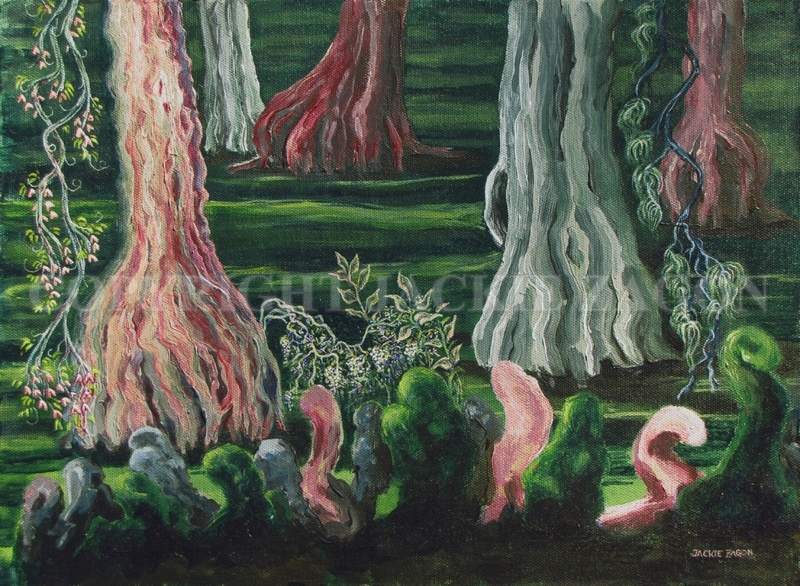 Acrylic on canvas, fantasy, cypress trees in the swamp put on a show. Colors: magentas, pinks, greens, neutrals. Frame: wood, 2.5", brushed antique gold, linen liner.